The abundance of travelling in the recent decades has increased the importance of products meant to carry luggage – suitcases and briefcases. There are several companies in the world specializing in manufacturing these products. This is a list of the top luggage brands according to their popularity. Samsonite is a luggage brand of American Tourister. Founded in 1910, this American company manufactures several types of products designed to carry luggage like bags, rollers, and hard suitcases that come in different shapes and sizes. The company also manufactures specialty products meant to carry items like laptops. Backpacks for occasions like school and travel are present along with several accessories like pillows and umbrellas. This American company was started in 1975, and it offers different types of bags and suitcases for travel. Products are available for both business, everyday, and travel purposes. Briefcases and totes form the chief products in the business segment, while large wheeled suitcases help take large amount of luggage in the travel segment. The everyday segment is comprised of casual bags. Founded in 1979, this company is based in Hawaii, America. It primarily has its operations in North America and Europe. Its product range is available for all ages from children to men and women. Some of the features on the products from this company are laptop compatibility, padded shoulder straps, and wheels. There are also waterproof products available as well. This American company was started in 1975, and it has a wide range of products that come in categories like wheeled backpacks, 4-wheeled rolling luggage, gear bags, lightweight carry-ons, and rolling uprights. The company also offers a guide to its buyers to help choose the perfect match. Packing solutions like compression bags and accessories like pillows are also present. Aside from offering specialized luggage carriers for airline personnel, this company, which was started in 1987, also offers products like carry-on luggage, upright luggage, garment bags, and tote bags as well. Specialized needs like carrying laptops are also dealt with through special briefcases. Best known for manufacturing Swiss Army knives, this company that was founded in 1881 also manufactures luggage and travel gear as well. Its luggage solutions are present for travel, everyday, and business use. Accessories like smartphone cases are also present. This French company was established in 1946. Aside from offering luggage solutions for travel and business, this company also has travel necessity products and small leather goods as well. Luggage solutions for kids are also offered. This American company specializes in offering travel and everyday luggage solutions since its inception in 1962. Several types of handbags are also present as well. The company also manufactures accessories like pouches and wallets. Started in 1993, this is an American company that manufactures fine luggage, computer backpacks, and business cases amongst many other accessories. These products are available in five collections. The company also provides several self-repair kits as well. This is a German company that has been in existence since 1898. Products made from aircraft aluminum and extremely strong polycarbonate are the features of the luggage products from this branch. It has 10 different types of luggage solutions available. Founded in 1914, this luggage brand has its origin in the United Kingdom. It offers different types of luggage solutions depending on size and strength. Large and medium suitcases are available, while hard and soft product classification can also be done in terms of strength. This is a Belgian brand founded in 1987. It is owned by the VF Corporation. The company manufactures several types of wheeled backpacks, duffels, wheeled language, and weekenders as part of its luggage collection. There are also messengers and totes available as well. Rockland is a luggage brand from Europe based Fox International. They offer wide range to serve all needs of travellers. The company was founded in 1967 and currently sells range of products along with travel accessories. This brand was started in 1978, and it has products suited for a variety of requirement like adventure, school, business, and outdoor sports. There are four collections of luggage products from this brand. Users can access description, specifications, and reviews on the product page. Founded in 1877, this brand offers different types of luggage goods. There are also leather goods available as well. Wheeled, hard sided, spinners, and carry-ons are the different types of luggage products, while accessories like wallets and passport cases are also manufactured. This company, which was started in 1984, offers luggage products in several brands like Pacific Gear, Eco Traveler, and Travel Select. Eco-friendly bags are one of the special products of this company. This company claims to have more than 400 products in its line-up of backpacks, handbags, messenger bags, and duffels. It also specializes in offering cases for computers, laptops, and tablet PCs. Accessories for packing and other toiletries are also present as well. Founded in 1986, this American company specializes in luggage products from polycarbonate materials. Bags, briefcases, and suitcases are some of the several products available from this company. Britto, Fazzino, and Crown Edition are the major collections. Established in 1919, this company currently offers lightweight luggage. There are several styles of products like briefcases, carry-ons, duffels, totes, and uprights. There are five collections of products, while accessories are also present are well. Offering a range of products like laptop carriers, hard side luggage, hybrid luggage, rolling luggage, and superlight language is the specialty of this company, which was founded in 1978. These products are available in several collections like Mariposa and Roxbury. Biaggi is a luggage brand founded in year 2011; Biaggi is famous for its innovative designs and unique combination of attitude and functionality and a well-designed lightweight, foldable luggage that doesn’t hold its customers back. 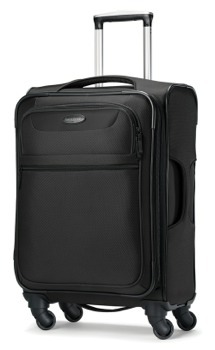 Biaggi make products in categories like carry on, rolling, 4 wheeled, backpacks, duffles, totes and uprights. 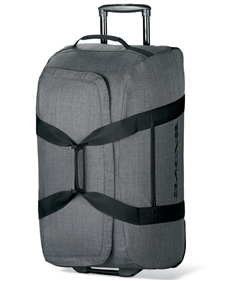 Biaggi has three types of itsluggage solutions available Zipsak, Techno and Contempo.